Fortress Of Freedom Board :: View topic - Corporate Spot’s New Single Released! Corporate Spot’s New Single Released! 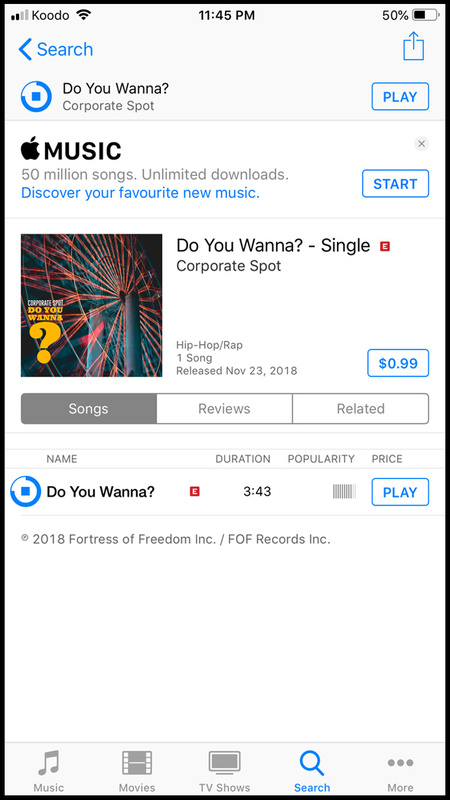 Posted: Thu Nov 29, 2018 6:48 pm Post subject: Corporate Spot’s New Single Released! This is the artist’s third project with FOF Records but the first under the Corporate Spot name! This song is available in its full 16 bit sound through Amazon on Demand. On the digital side you can buy the single or stream it on all the popular streaming sites like Spotify or Tidal or Apple Music. So all of us at FOF congratulate Corporate Spot for another great song and wish him continued success and creativity on his next project!